Celebrate each year of someone's life with a printable birthday card. 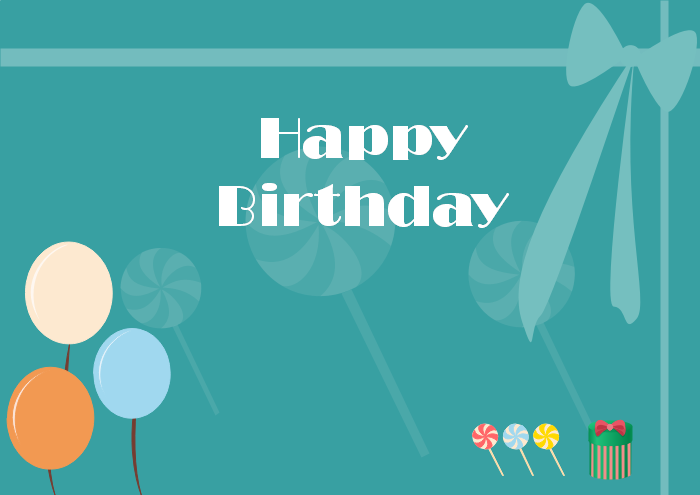 Some free editable and printable birthday card templates in this article will inspire you to create the birthday card with heartwarming words. A birthday card is a perfect way to send your best wishes to someone in your life. Several printable and editable birthday card templates are available for you to create your own personalized card. These birthday cards in a wide variety of styles will save you time, money, while not compromising on style. Some of them are even beautiful than the ones you can easily buy from the store. 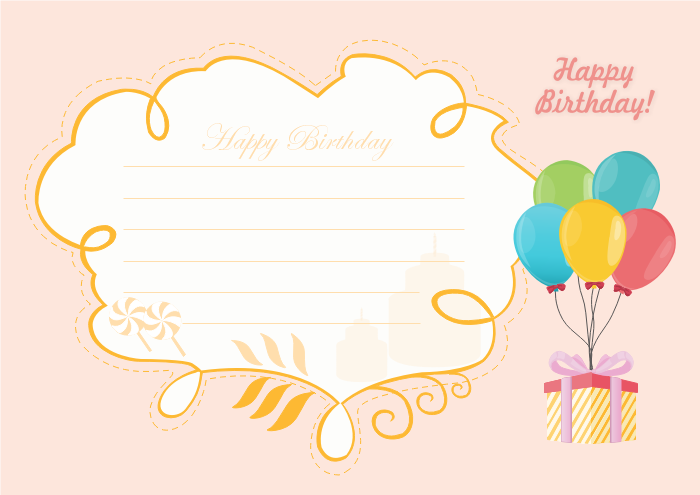 Blank birthday card templates as below are ready-to-use. All contents in these templates like elements, icons or word even layout can be edited as you like. You are able to print and share them for free. Heart pictures in the background and pink color are so sweet. Simply add the word you want to say to her. You can also replace the default pictures with your own photos. Wish the boy or man in your life a happy birthday with a fun-filled birthday card for him. 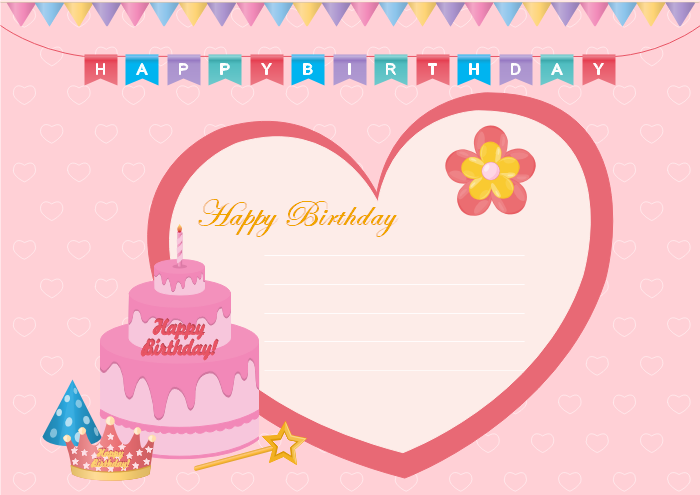 Following are two birthday card templates for kids. The word seems simpler through their eyes. So just put some interesting pictures they like on the cards and add your own text like "Happy birthday"' or "Congratulations". 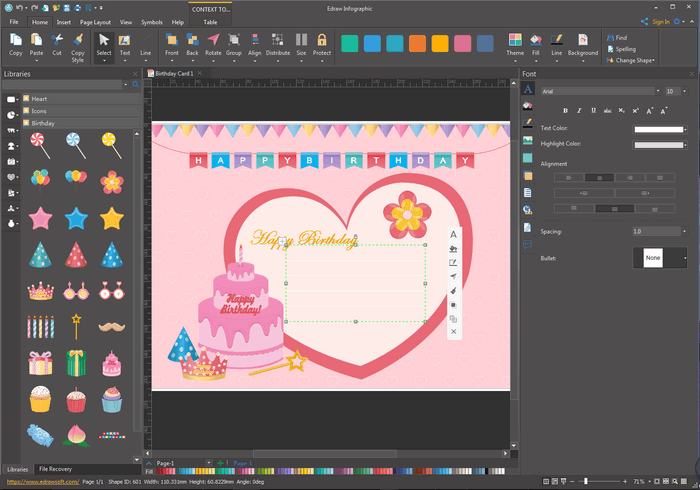 This software also provides users with various birthday elements to design cards. All elements are editable. Users are allowed to change its dimensions, colors and directions, etc. 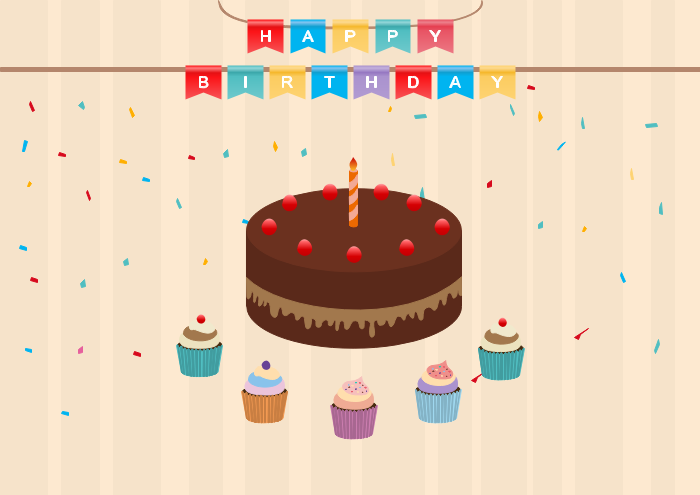 Its built-in drawing tools give you the ability to design your own birthday symbols.